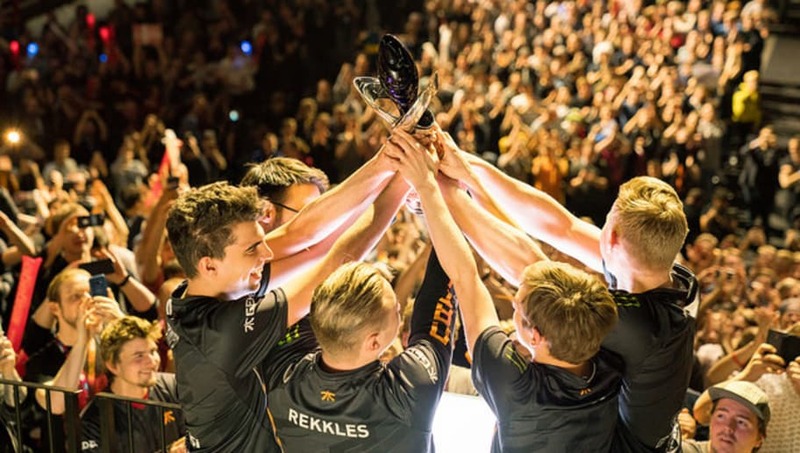 Fnatic completed their 3-0 sweep of G2 Esports on Sunday to become the new EU LCS champions. Although all of Fnatic played exceptionally well today, Rekkles was once again the main carry for the team. He did not die once in any of the games, finishing 20/0/13 on the day. The biggest surprise was seeing Martin "Wunder" Hansen getting picked on in all three games. He is usually a very consistent top laner and is widely considered one of the best in Europe but he was unable to have a large impact in any of the games. This was mostly due to a lot of jungle pressure from Fnatic but it made the games look somewhat one-sided. While Fnatic are going to enjoy their time as the kings of Europe here's a look at what this means long term. Fnatic grabbing the win means more total points and a head start on qualifying for Worlds. It also means that Fnatic will be representing Europe on the global stage at MSI. While MSI doesn't have a lot of significance in terms of qualifying for Worlds or anything like that, it is a valuable place to practice against the best teams in the world and feel out the competition. This comes a day after Splyce solidified themselves as a top three team, the third to qualify for Rift Rivals, and claimed 50 points for themselves. Fnatic looked unbeatable, so it will be interesting to see how they do at MSI and if they can continue their dominance during the next split.